I saw a breathtaking sunrise full of flaming color this past Saturday. I knew I could never do it justice by snapping a picture of it, so I just stood at the window and watched. And you know what thought went through my head? Uh oh. As a child, I’d heard the old adage Red sky in the morning, sailors take warning. Red sky as night, sailor’s delight. 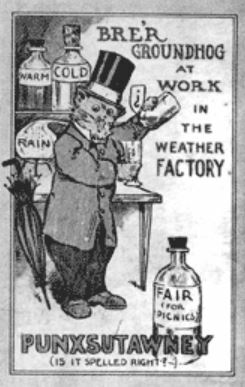 Back then, I wondered how the heck old sailors would know something like that without benefit of weathermen and science to tell them what’s what. There are many sayings based upon observation and they’re found all over the world. Through observation, experience, and the passage of time, these sayings have become general truths which, more times than not, come to pass. Because we look for their symbolic meanings, these adages are divination tools of a different sort. And so, the 2016 Symbol Series continues! A ring around the sun or moon, means rain or snow is coming soon. Plant when the oak leaves are the size of a squirrel’s ear. The corn should be knee-high by the 4th of July. Few foxes this year mean more rabbits next year. Thick coats on animals is a sure signal for cold winter. Some people even look to woolly bear caterpillars for their forecast. Throughout mankind’s time on earth, and especially with the advent of agriculture, people living close with their environment needed to know things– things like when to plant and harvest, when animals might be leaving their dens, and when weather might turn bad. They watched for subtle signs around them and deduced information from their observations. Example: If winter hibernating animals were suddenly making an appearance, you knew spring was officially in the air. Funny thing about spring– it has a mind of its own. Sometimes spring is very much underway in March, sometimes winter pushes us all the way to June. That hit or miss observation led to a long-held tradition here in the states. Hint #1: It originated with German farmers and the first recorded reference of it turns up in 1841. Hint#2: A movie was made where actor Bill Murray was stuck in it until he became a better person. On February 2, 1887, in Punxsutawney Pennsylvania, several businessmen and groundhog hunters met at Gobbler’s Knob. Businessmen and groundhog hunters. Were they business men who also hunted groundhogs, or groundhog hunters meeting up with businessmen on Gobbler’s Knob? The world may never know. Anyway…they called themselves the Punxsutawney Groundhog Club and they met because they had a publicity stunt in mind. 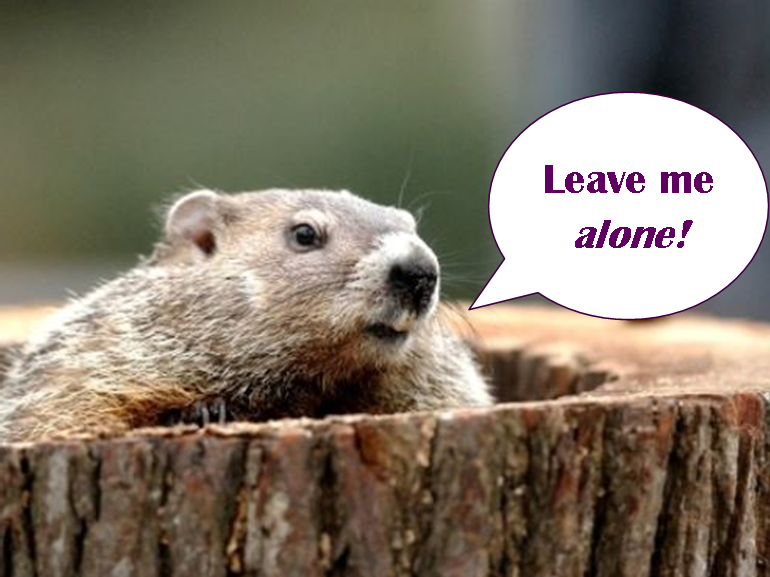 To great fanfare, they rudely woke a hibernating groundhog to see if he saw his shadow. The idea was if the little guy did see it, he’d be frightened that winter was still upon him and return to his burrow to sleep until spring. Of course this would mean winter would last as long as winter generally lasts at that point on the calendar — another six weeks. But, if the groundhog wanted to sniff around and eat, then his hibernation period was ending anyway and winter was officially over. This annual stunt is based upon an old country German observation regarding animals leaving their dens early. Tomorrow is the big day. In my area we are expecting snow, ice, and rain in the forecast. In Punxsutawney Phil’s neck of the woods, they have clouds slated for February 2nd. I think the groundhog will say we’re going to have an early spring. I say leave the little guy alone. Still, I’m ready for spring. This entry was posted in Past Posts - you'll never know what you'll find and tagged allegory, apotropaic luck charm, baby names, birth stones, blogging, body language, Cartomancy, cemetery, characters in literature, Descriptive names, Extended Metaphor, Greek mythology, groundhog, literary characters, luck charms, Madeline Archer, nonverbal gestures, onomastics, Punxsutawney Phil, Romance, Rose Anderson, situational body language, symbology, Tarot, tasseography, Victorian cemetery, Writing. Bookmark the permalink.